Love, passion, betrayal and tragedy. 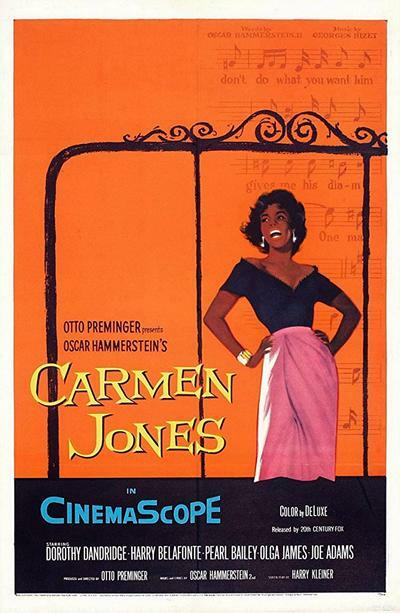 Carmen Jones is an adaptation of Bizet’s legendary opera, Carmen. It tells the story of a young, free spirited woman called Carmen Jones whose great beauty is the object of many men’s desires. However, Carmen sets her sights on young army officer Joe, who is engaged to his sweetheart, Cindy Lou. Joe quickly succumbs to Carmen’s charms , forsaking his Cindy Lou, thus beginning the tragic love story.